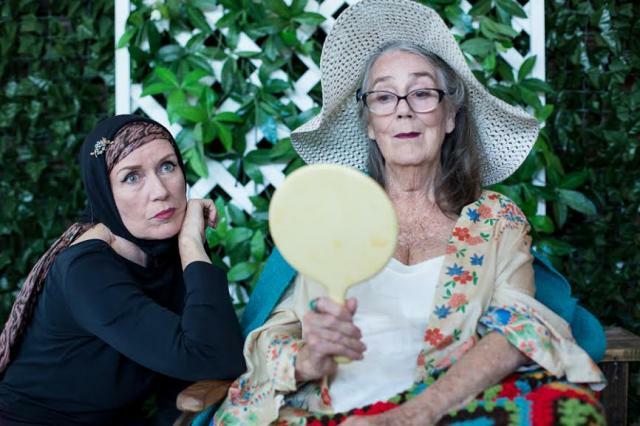 Seymour Centre presents Squabbalogic Independent Music Theatre's production of GREY GARDENS. Book by Doug Wright, Music by Scott Frankel, Lyrics by Michael Kori. In the Reginald Theatre, Seymour Centre. November 18 - December 12. I first saw the musical GREY GARDENS in New York on Broadway in 2007, in the Walter Kerr Theatre. I went, curious to see as to how the documentary film of David and Albert Mayseles' of the same name, had been adapted for the musical theatre. I loved the documentary. (Sight and Sound Magazine rate it the ninth joint best documentary film of all time!) I remember that the reviews (word-of-mouth) for the show were very mixed and although it had won three Tony Awards - two for the principal performers - the vibe around it was just OK, and tickets were easy to get on Times Square. The first act of the Musical is set in 1941 and is a mostly fictional introduction to the Beale Mother (Big Edie) and the Beale daughter (Little Edie) in their mansion home, and their trials and tribulations over the course of a crucial day with their family, servants and friends - a thwarted marriage opportunity for Little Edie, the BIG event. The second act is set in 1974 and is an adaptation of the documentary, imagining a day-in-the-life of the same two characters in the now run-down Grey Gardens estate in the Georgica neighbourhood of East Hampton. For my time spent in the theatre (and money), I felt, at the Reginald, that one could have just had the second act and be better satisfied. (I honestly thought this true of the Broadway version as well.) The only loss in the Squabbologic production, if we had 'dumped' the first act, would really be, not having seen and heard, Caitlin Berry, singing and acting the ingenue version of Little Edie, with an energetic freshness, despite being caught up in, amidst, a book and music/lyric offer of a wan old-fashioned kind, with a plot and characters that were troublingly, boringly, cliche - this show was Nominated for 10 Tony Awards, believe it or not! The second act, in the Reginald Theatre, has from Maggie Blinco, as Big Edie, a performance that with an osmotic internalised life force of the original woman, a deftly clarified musical and dramatic surety that gave a great deal of pleasure for us to share in. That performance, alone, was worth the time and money spent at the theatre - JUST. Beth Daley, as Little Edie, on the other hand, had a grasp of the woman from an obvious close study of the documentary, but with not sufficiently accurate vocal sharpness (articulatory skill ) to nail it, either with her dialogue or her songs (read my post on Audra McDonald). The opening song from Little Edie of Act two: "The Revolutionary Costume For Today" was a blur of sounds with only a guessed gist imparted to the audience of its wit, comedy - this was despite that all the performers had microphone assistance. The song that followed from Ms Blinco: "The Cake I Had" was, comparatively, a revelation of clarity - and, on the night that I went, a relief to hear and comfortably comprehend - a $59.00 expenditure, partly satisfied! The Set Design for act one, by Simon Greer, is a clunky overweighted and not very well executed living space at the Grey Gardens mansion, supposedly, at its height of glamour - sticky-tape on walls etc, the fake badly painted BROWN baby grand piano, a catastrophe of choice - it could not have been less useful, in that small and close space to help the audience suspend its belief, except as a generous offer to a local amateur theatre company - if you can't afford it, think again about the choice of show, if you are going to maintain a standard of 'quality' reputation. The Design made more sense and worked more appreciatively with the gauze effects of the 'haunted ' second act. Costumes, by Brendan Hay, for the first act, similarly, were not of a quality that one as come to expect, from this company - this 1941 setting is supposed to re-create, be, the wealthy extravagant world of a Bouvier-Beale lawyer/financier family. This production lacked any convincing visual truths (those wigs?! ), although the Lighting Design was, as per usual, from Benjamin Brockman, good - in this case, a saving 'grace'. A large Band (orchestra) of nine instrumentalists led by Hayden Barltrop was the Best Element of the night, although, the Sound Design by Jessica James-Moody was, unusually, wayward in its contribution - drawing attention to itself. The choreography, by Shondelle Pratt, was decorative and generally danced well by all the cast who, otherwise, were less than expected, maybe because the material they were toiling with was so turgid. Blake Erickson could not do much more with a truly terribly cliched character, George Gould Strong, a 'type' he has managed to give us before - nothing new, going on there - whilst the gifts of Simon McLachlan were wasted on what he was required to do, especially as Joe Kennedy. 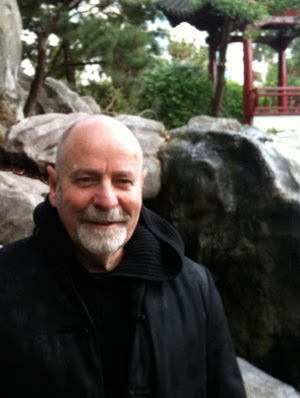 There was a quality of surety from the Director of the production, Jay James-Moody, throughout, but neither the book, lyrics or music, any of the material was interesting enough to ensure an unadulterated success, and without a stronger, clearer actor in the central role of the Big Edie/Little Edie double of act one and act two, one could not really understand why this particular musical was on show. Like the last show, TRIASSIC PARQ, the selection of the Musical ventures at Squabbalogic seems to be tremendously 'quirky', maybe, a trifle kitsch, sentimental, in its raison d'être, rather than in revealing to us a reason to go to the theatre and admire the Musical Theatre Genre as a contemporary force. A point of contrast is VIOLET, up at the Hayes Theatre, a Musical Theatre show not to be missed. P.S. Oh, my gosh, THE SOUND OF MUSIC, this week, coming up.